Re: LOK grips--texture question--opinions ? Why would you want less grip for defensive carry? Wouldn’t getting a good grip (and therefore hitting what you are aiming at) be even more important? If I was allowed to carry (country problem) I would run Palmswell Bogies every day of the week. Personal preference but checkered type medium aggressive allows good grip but not as much skin irritations when carrying all day. Almost all holsters leave the grip area in contact with your skin if not large owb holster used. I am of the opinion of having multiple options to fit the situation (dress clothes/casual/less carry friendly area pocket guns). Many carry less often based on comfort when they go too large or too aggressive with texture. If you just deal with it and carry always no matter comfort more power to you but large amount of people won’t. 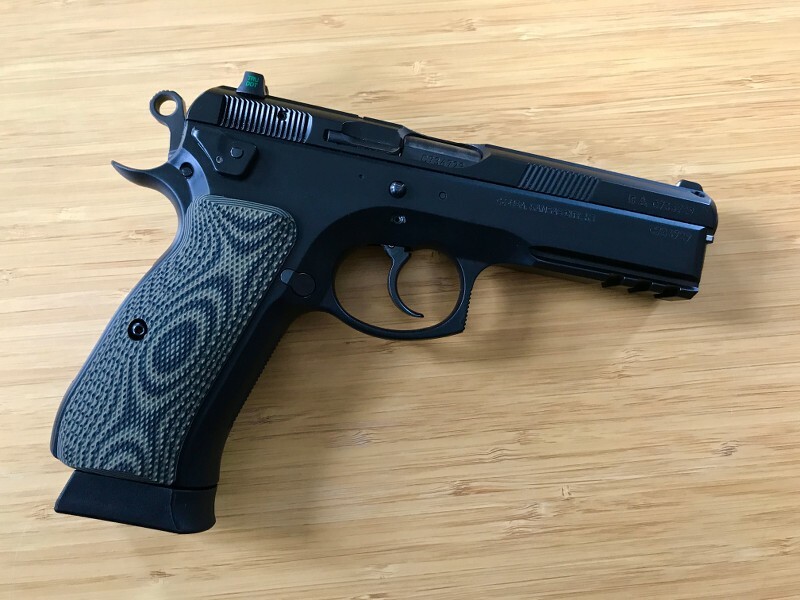 I have the full checkered grips on my SP-01 Tac - I think they are perfect. Very grippy without being overly abrasive. The full checkered is the winner...LOK sent the wrong ones, but I'm sure I'll be very pleased once the correct ones get here !! !